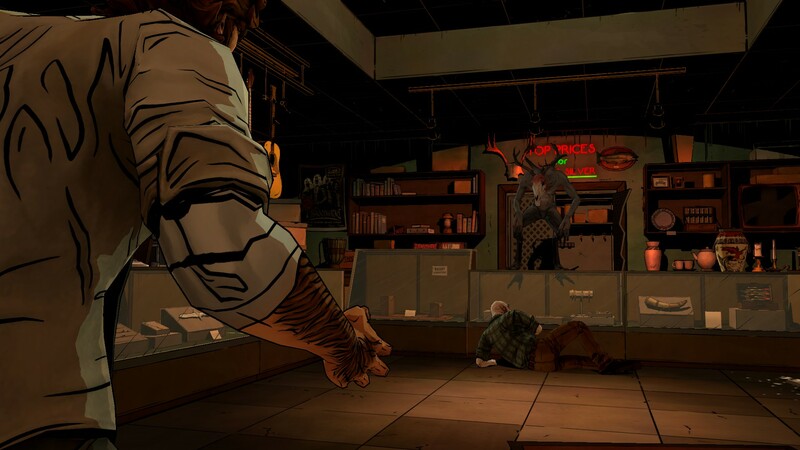 We’re finally closing in on a resolution to The Wolf Among Us. While Episode 4 throws out a boat ton of answers, it lifts and spins a Titanic load of questions for good measure. Oh, and a pretty awesome fight too. Even with Bigsby on the mend after his beating in the hands of Bloody Mary, all’s starting to set into place as Snow takes charge and starts to drive some spurs into Fabletown’s renowned attack wolf. Now, whether or not the former villain is likely to sing to her song, it’s clear that this canine has no qualms with having his claws come out at the drop of the proverbial hat. If you’re anything like me playing this game. In Sheep’s Clothing is a deceptive name for this episode as you soon find out. I was a wolf through and through, and it’s easy to see that Telltale points and nudges you into some aggressive behavior, as they did with episode three. Bigsby IS the wolf after all, even if he is given the choice not to. In fact, it’s easy to see how nobody’s pristine clean in the world of Fables – even royalty has its thumb in the morality pie. That’s certainly the case of the returning characters from previous episodes, including a couple with which Bigsby had the misfortune of tangling himself with. And while I would’ve liked to see more fables make an appearance, their role in the story finally started to make more sense, past the “oh I can’t believe they have these guys in the game” some of the more tertiary cast seem to add up to the overall plot. And while that royalty pie certainly tastes yummy, we’re still craving for whatever Telltale’s cooking for the finale. The aforementioned laundry list of questions that sprout in this episode seems to suggest that the finale will waste no time in getting you thick into the grittier side of the story. Nobody’s talked about why everything that’s going on is going on, even if the ins and some of the outs are revealed during this outing. New cast members make their appearance, and as colorful as they are, there’s no denying a certain Lost feel to some of their roles. While such a feeling could play out either way, we’re luckily not dealing with Mr. Lindelof here. There’s much to expect for the finale, so there’s no way to judge a piece of an episodic game as a singular product. In this episode’s case, the setups are the only real factor that counts – and in that regard, it does so well. 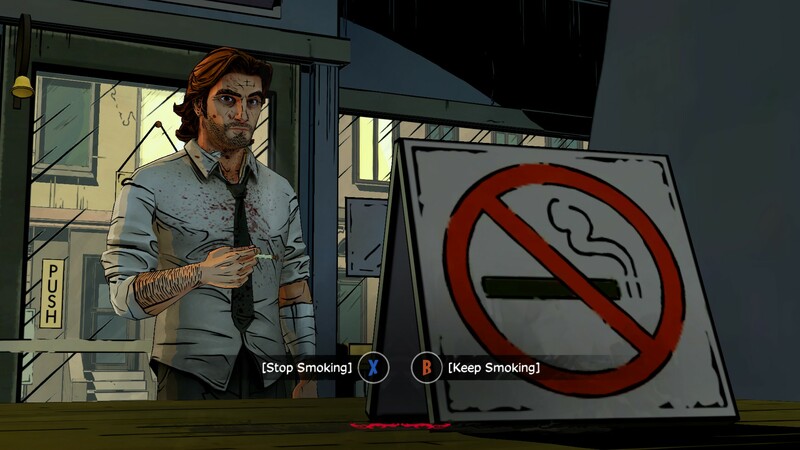 The Wolf Among Us, like The Walking Dead, is all about decisions. In Sheep’s Clothing provides a few interesting instances in that regard, even if in their majority they don’t exactly feel like something of real significance. Episode 4 suffers from being the penultimate step in the season. It obviously cannot deliver everything we’re hoping to see since that’s the last episode’s job, but that doesn’t give it a pass for being stale. In Sheep’s Clothing is far from being boring; it’s only a victim of its chosen format.